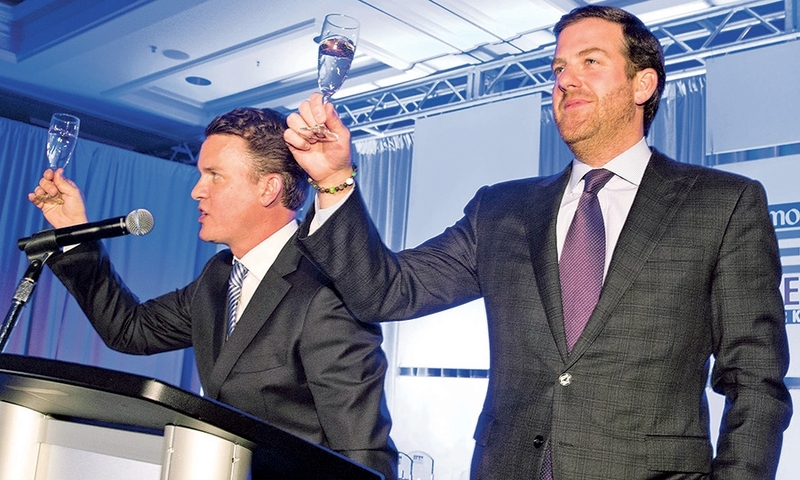 KC Crain, right, Crain Communications group publisher, joins Jason Stein, Automotive News publisher and editor, in a toast to the 100 Best Dealerships To Work For. Bergstrom Automotive COO Tim Bergstrom told the audience: "There's no reason why you can't have fun at work." 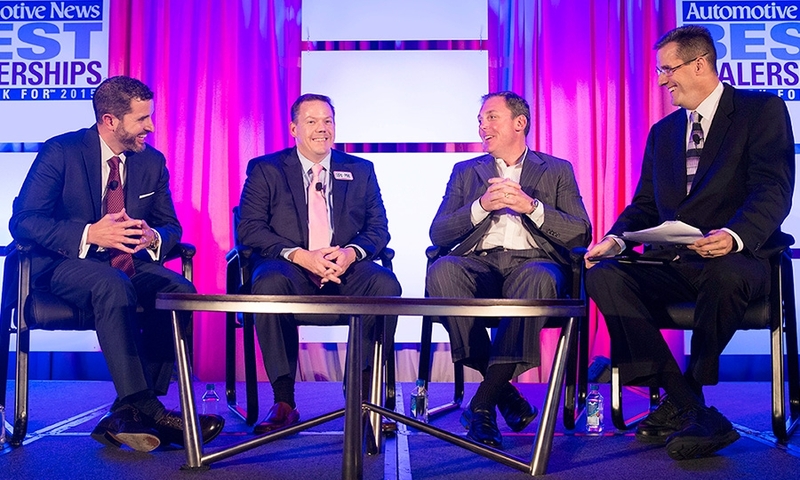 From left, Jack Oyler, president and general manager of Faulkner Dodge Ram; Famous Rhodes, vice president of e-commerce at AutoNation; Dave Wright, owner of Dave Wright Nissan Subaru; and Tom Worobec, editor and anchor of Automotive News TV, discuss employee retention at the dealership. 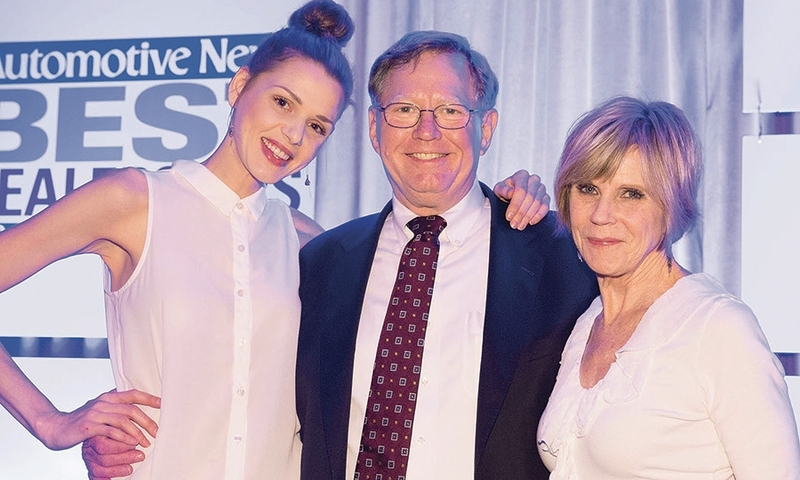 Paul Neumann, vice president of human resources, Penske Automotive Group, Western region, with Mini of Marin's Lindsay Webb, left, and Heidi Hodes. 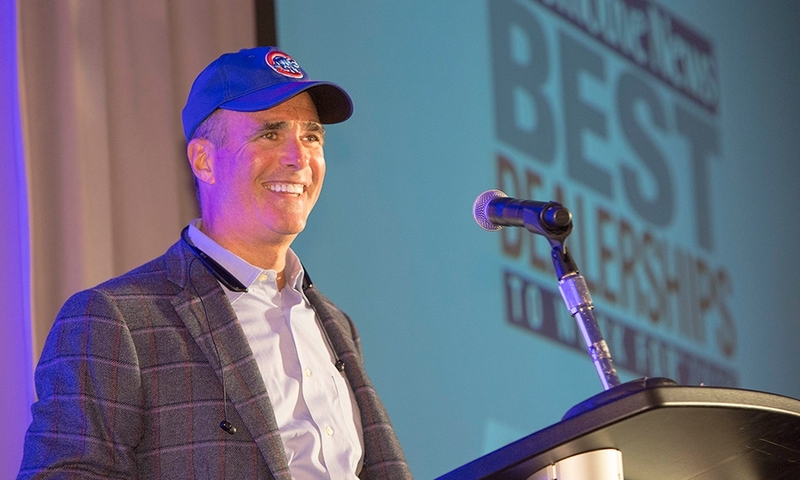 Dale Pollak, executive vice president of Cox Automotive, shows his Chicago-dealer roots while welcoming attendees. From left, Adam Arens, owner of Patriot Subaru of Saco (Maine), ranked No. 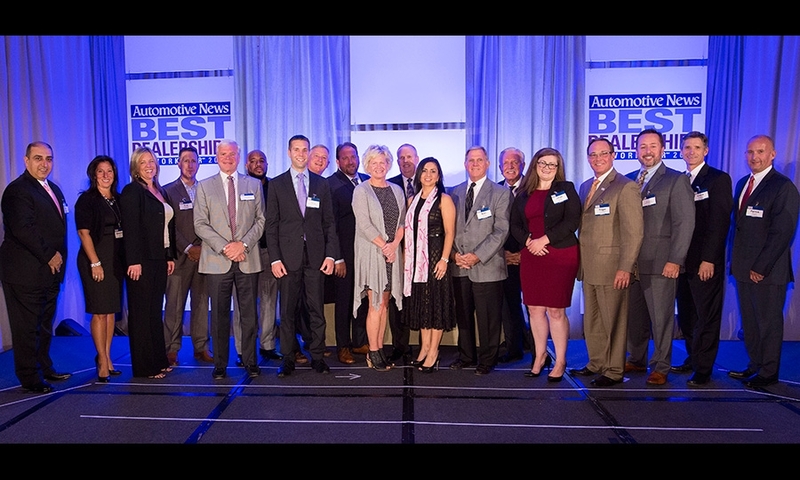 6 on this year's list of the 100 Best Dealerships To Work For, celebrates on stage with Vince Sheehy, president of Sheehy Auto Stores and No. 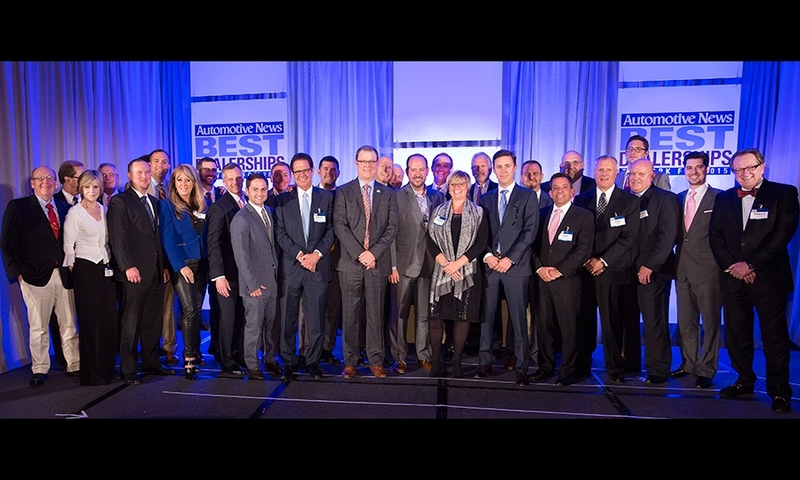 7 Sheehy Lexus of Annapolis, Md., and Ronny Owens, assistant general manager at No. 8 Greg May Chevrolet of West, Texas. 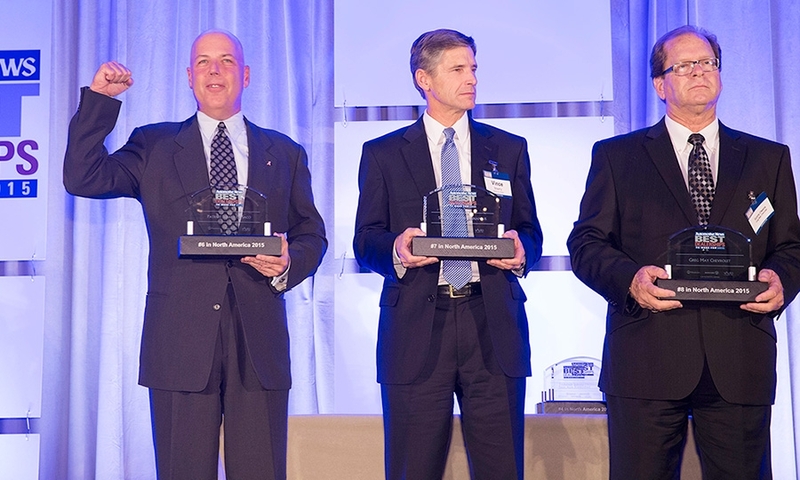 AutoNation has 10 stores among the Best Dealerships To Work For. 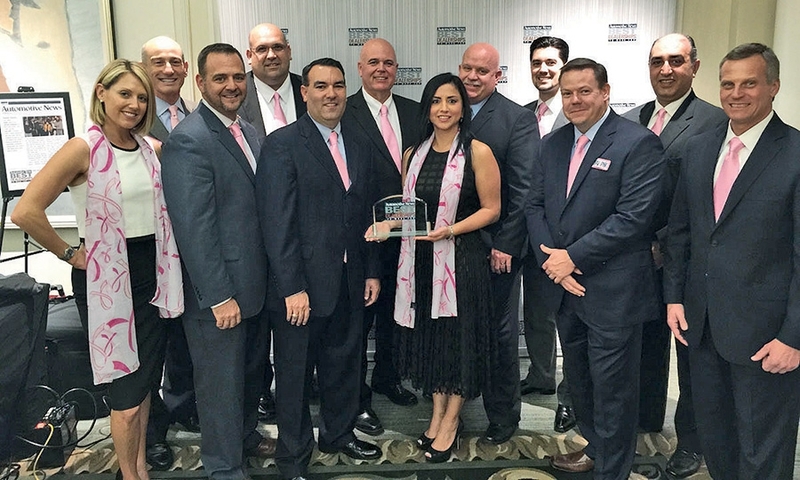 Representing them, back row from left, in pink ties and scarves to promote breast-cancer awareness: Marc Cannon, Greg Bryant, Edward Huntley, Dennis O'Connor, Brian Wilson and Cary Pilikyan. Front row from left: Kim Costello, Shelby Danner, Steve Chapman, Tania Eubanks, Famous Rhodes and John Evanicki. 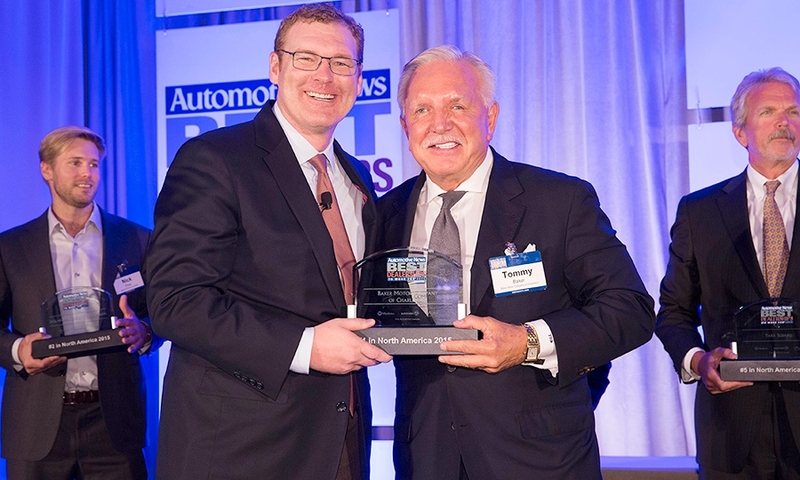 Front and center, Jared Rowe, president of Cox Automotive Media Division, congratulates Tommy Baker, president of Baker Motor Co. of Charleston, S.C., ranked No. 1 overall on this year's list. Behind them, from left, Nick Price, general manager and partner of Jaguar-Land Rover-Volvo Marin, of Corte Madera, Calif., No. 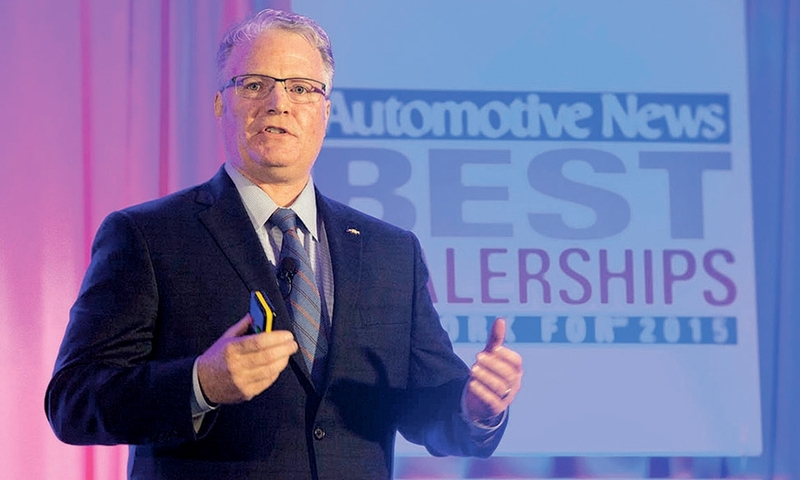 1 among medium-sized dealerships, and John Yark, president of Yark Automotive, which owns Yark Alfa Romeo-Fiat, No. 1 among small-sized dealerships. 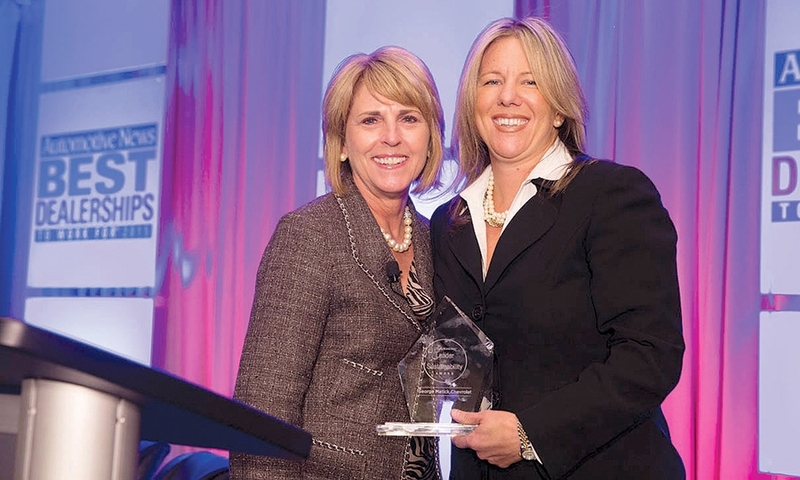 Janet Barnard, left, president of Manheim North America, presents the Cox Automotive Leader in Sustainability Award to George Matick Chevrolet in Redford Township, Mich. Molly Williams, the general manager, accepts it. 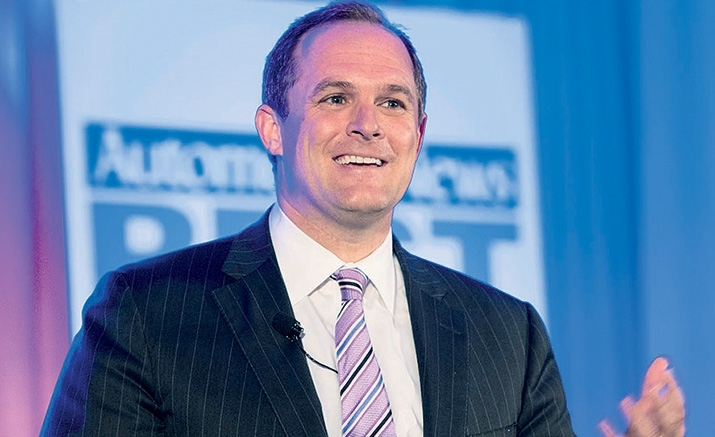 Joe Eberhardt, CEO, Jaguar Land Rover North America, chats with KC Crain. Brian Sweeney: "Now, it's time to close out the second quarter and defend our position as the fastest growing full-line brand of 2016." 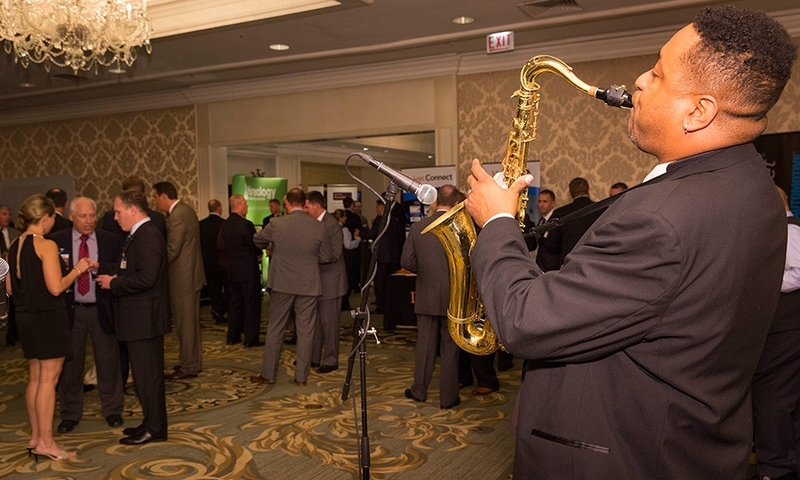 A Chicago jazz trio set the mood at a reception before the evening gala. 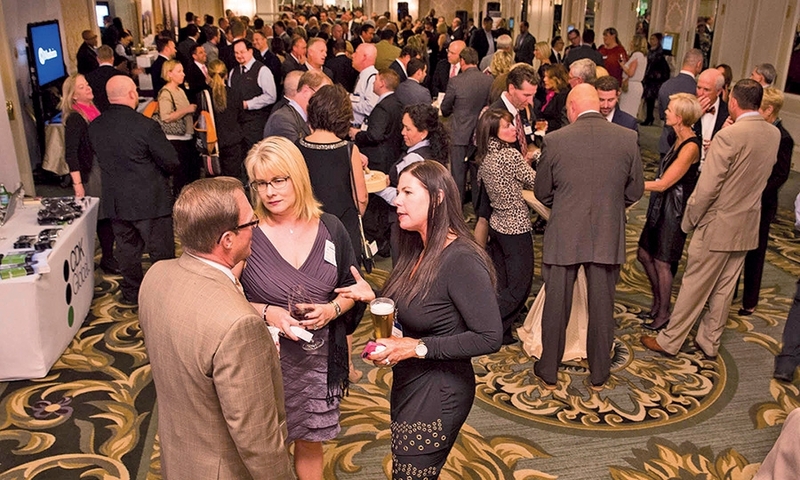 Dealers gather for the evening's festivities. Representatives of the 41 dealerships in the small-dealership category -- those with 25-49 employees -- gather on stage. 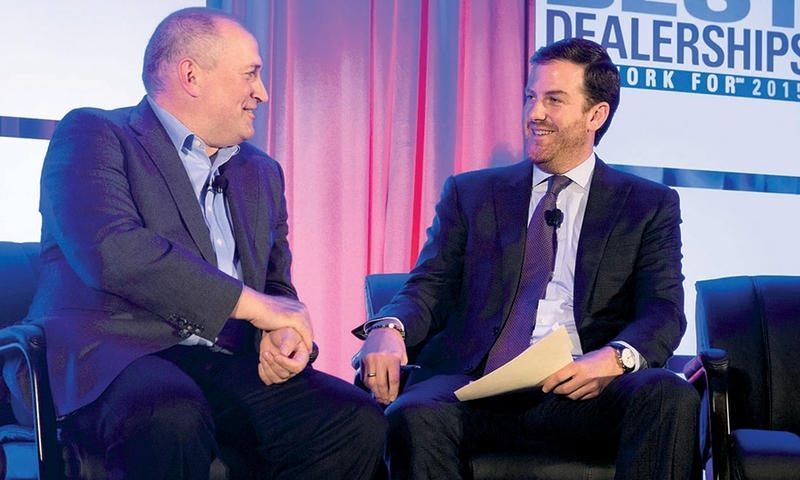 Representatives of the 39 dealerships in the medium-dealership category -- those with 50-99 employees -- take the spotlight. 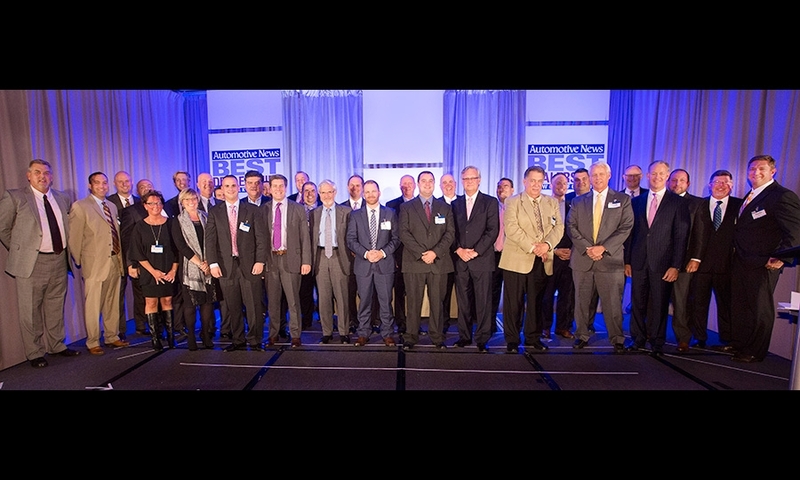 Representatives of the 20 dealerships in the large-dealership category -- those with 100 or more employees -- join for a group shot.